Just in time for Spring and Mother’s Day, join Round Designs and 5 other local artists as we offer our wares in this gem of a local art supply shop! The Albany Pine Bush Preserve Commission rejoices in the arrival of spring with their 15th annual Lupine Fest for the local community! I’m so excited for my first Summer season being a part of GBAM! GBAM Summer Market will be held every Saturday, Memorial Day through Columbus Day. 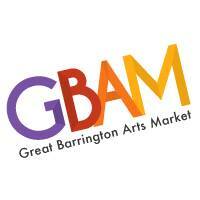 18 Church Street, downtown Great Barrington, MA alongside the Great Barrington Farmers Market, 9am – 1pm. Very excited for my third year on Beekman Street! Join me for my 3rd year in Round Lake! This market is a blast, lots of great vendors, a book sale, in the cutest town you’ve ever seen. 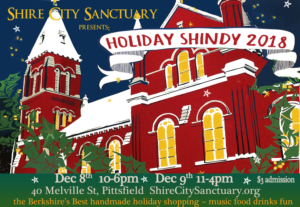 The Holiday Shindy is coming up on it’s 12th year, but it’s my first time there! Hours for 2018 fair are Saturday, December 8th from 10AM to 6PM and Sunday, December 9th from 11AM to 4PM. There will be food and music. Admission is $3 for the general public. Children under the age of 12 are free. The Handmade Holiday Festival is a curated holiday market featuring contemporary artisans, designers, farmers and food producers. Held the first weekend of December each year, the sale is your one-stop holiday shopping in the Berkshires. Showcasing handmade goods by local and regional artisans, we give shoppers the opportunity to meet and support the makers of their gifts and keep holiday spending in the community! 2018 will be the 10th annual Handmade Holiday Festival. Live music, children’s art making and delicious prepared food will keep you feeling festive and fueled to shop. 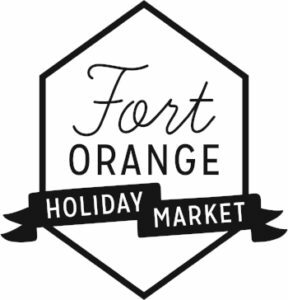 The Fort Orange Holiday Market returns for a second season in downtown Albany! The market will kick-off on the same evening as Albany City Hall’s Tree Lighting & Open House on Friday, November 30, and continue the following three Fridays, December 7, 14, and 21 from 5 PM – 9 PM each night. The market will feature a wide selection of vendors selling locally made and sourced goods, entertainment, art exhibits, and more. Located in the Arcade Building along with Stacks and Albany Center Gallery! 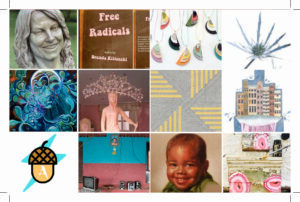 The 99cent show is now the Made by Hand Holiday Art Show – still featuring amazing works by local artists and makers, still all affordably priced under $100. Your chance to take home or gift the artwork of local and regional artists and includes sculpture, ceramics, watercolors, jewelry, paintings, cards, collages, fiber, book arts, photography and printings. All artwork can be taken from the gallery when it is purchased. The show is a combination of talented artisans, creative gift ideas and a wonderful warm inviting atmosphere to shop in, all the while supporting local and regional artists. I’m very excited to participate in the first Slow Made Collective Pop Up Shop! Located at 17 Railroad Avenue in Midtown Kingston, in the entryway to Ferrovia Studios and next door to Village Coffee and Goods. Holiday gift shoppers and art lovers “go local” at this high-end curated sale that features dozens of crafters and artists of bespoke accessories, home goods and foods from dozens of Columbia, Ulster and Berkshire area artisans. 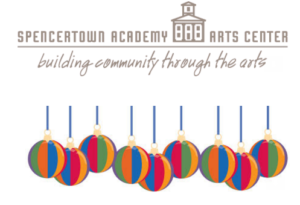 Spencertown Academy Arts Center’s 2018 Handmade Holiday Craft and Gift Show will be open Friday-Sunday, November 23, 24, and 25 and Saturday-Sunday, December 1 and 2, from 10:00am to 4:00pm each day. Hullabaloo is open to the public from 10 a.m. – 5 p.m. on Saturday, and from 11 a.m. – 5 p.m. on Sunday. I’ll be there November 3, 10, 24 and December 15 and 22! 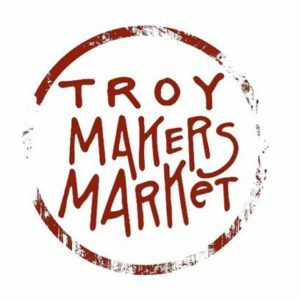 The Troy Makers Market is held in conjunction with the Troy Waterfront Farmers Market, which takes place Saturdays from 9:00am – 2:00pm inside the Troy Atrium in downtown Troy. The Makers Market is on the second floor, in the North wing of the building attached to the parking garage! 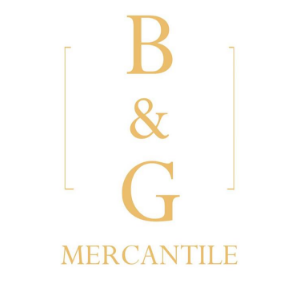 Join me as I pop-up in the lovely Byron & Gill Mercantile for Albany’s First Friday! I’ll be there from 5-8pm with some special sale items and a free gift for anyone who spends over $20 with me. 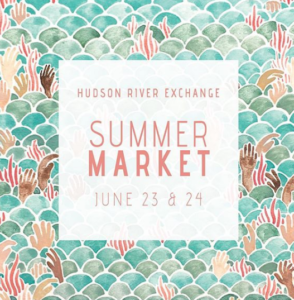 Mid-Hudson Marketplace (MHMP) is an annual artisan’s market created to support and showcase homegrown artists, makers, crafters, farmers, mom and pops, and pop up shops in the Hudson Valley. 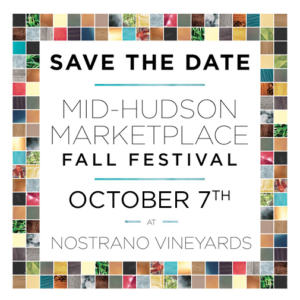 This one-day fall festival will take place at Nostrano Vineyards in Milton, NY. 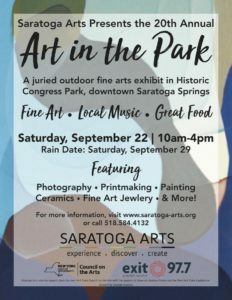 Art in the Park is a day of fine art in Saratoga Springs’ historic downtown Congress Park, curated and presented by Saratoga Arts. Each exhibition features nearly 80 artists from the greater Saratoga and Capital regions, displaying and selling their original two- and three-dimensional creations and personally-designed and crafted functional art in a beautiful park setting. Artists will be on hand to discuss their drawing, painting, ceramics, jewelry, sculpture, photography, printmaking, and work in other media. This year’s event will include local music, great food, face painting and a Kidz Art Zone! Spend the weekend of August 25-26 in Hudson, NY. 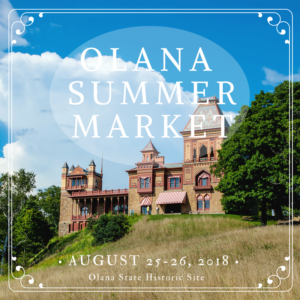 Over 25+ local vendors, workshops and eateries will be parked at Olana State Historic Site, the home and 250-acre landscape designed by 19th century Hudson River School painter Frederic Edwin Church. Come shop, discover, picnic, relax and enjoy the views! The Troy Makers Market is held in conjunction with the Troy Waterfront Farmers Market, which takes place Saturdays from 9:00am – 2:00pm in Monument Square, downtown Troy. I’ll be there August 18, September 1, 15, 29, and October 6! Crafts, Music, Books & Food! 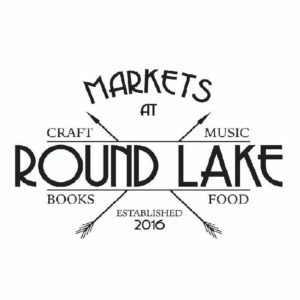 One weekend in August, four distinct markets converge in Round Lake, bringing forth the latest talent from the craft and artisanal edibles movement. Meet the Makers, listen to some local music, sample some good food. Read a piece of history and shop local! The 47th Annual Lower Adirondack Regional Arts Council (LARAC) June Arts Festival returns to Downtown Glens Falls’ City Park on June 16 and 17, 2018. The June Arts Festival is one of the premier summer events in the Southern Adirondack Region, drawing crowds of over 15,000. The Festival features about 200 exhibitors offering shoppers a variety of products such as jewelry, home items, food items, fine art, textiles, garden decorations, etc- the event takes place rain or shine, located in beautiful Downtown Glens Falls’ City Park. The festival also includes not for profit booths, arts demonstrations, children’s activities, food concessions, and live entertainment by local musicians. The June Arts Festival is free and open to the public, and will take place rain or shine. The Arts District on Beekman, Inc is hosting a one-day street fair on Beekman Street in the Saratoga Arts District on Sunday, June 10 from 10am-5pm. This family-friendly event will feature work by local artists and artisans as well as performances under the big tent on Ash and Beekman, roaming street performers, and specialty food trucks. Witness the magic of spring at the Albany Pine Bush Preserve’s 14th annual Lupine Fest. Fields of violet Lupine flowers and fluttering Karner Blue butterflies set the stage for visitors to explore and support the Albany Pine Bush Preserve and its partners. Visitors can enjoy nature walks, hands on activities with community partners, music, games, crafts, food, vendors and more! All ages. Free! All parking will be at 302 Washington Ave. Extension. Shuttle bus provided. On-site parking for people with disabilities only. No pets allowed at this event. What better way to say hello to spring than with PLANTS AND ANSWERS, the 41st annual Plant Sale at the Berkshire Botanical Garden. There will be an impressive selection of plants as well as handmade vendors. I’ll be bringing planters and other plant related pots. The event and parking are free. Come and celebrate Spring! I’m excited to be participating in Arlene’s Artist Materials first series of Makers Markets! I’ve been going to Arlene’s for art supplies for as long as I can remember and it will be so fun to show my work in their space. I am participating on Saturday, December 9, but there are also events on November 18 and December 16 with different artists. Check them out! The Handmade Holiday Festival is a curated holiday market featuring contemporary artisans, designers, and food producers. Held the first weekend of December each year, the sale is a one-stop spot for holiday shopping in the Berkshires. Showcasing handmade goods by local and regional artisans, we give shoppers the opportunity to meet and support the makers of their gifts AND keep their holiday spending in the community! Holiday gift shoppers and art lovers “go local” at this high quality sale that features jewelry, handmade apparel, quilts, children’s toys, cutting boards, baskets, ceramics, tin sconces, paper crafts, birdhouses, soaps and lotions, holiday ornaments and evergreen swags, and an array of delectable edibles made by dozens of Columbia, Ulster, and Berkshire area artisans. Admission is free. 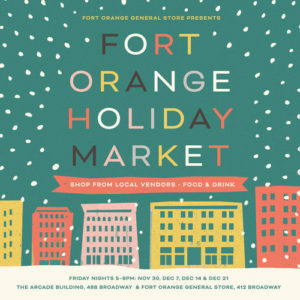 The Fort Orange General Store will celebrate its inaugural holiday season with a Holiday Market in The Arcade Building and the Fort Orange General Store in downtown Albany! The market will feature 20 vendors (rotating each week) selling locally made and sourced goods, live entertainment, art exhibits, restaurant promotions, and drop-in workshops at the Fort Orange General Store. The market will kick-off on the same evening as Albany City Hall’s Tree Lighting & Open House on Thursday, November 30, and will also feature vendors and exhibits at Albany City Hall, the Albany Visitors Center, and the Albany Institute of History & Art. A free shuttle, provided by Advantage Transit Group, will transport visitors to each of the locations. The Holiday Market will continue for the following three Friday evenings, December 8, 15, and 22 from 4 PM – 9 PM each night. Round Designs will be at all of the events with the exception of December 15. 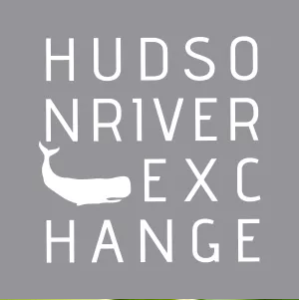 Hudson River Exchange Holiday Pop Up is a co-operative retail shop celebrating the best handmade and vintage in the Hudson Valley region. 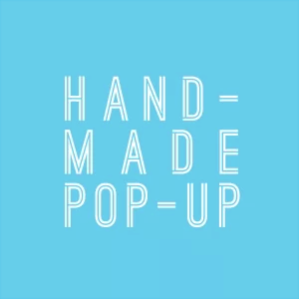 The pop up opens Nov 24th and will feature 15 regional makers + collectors. 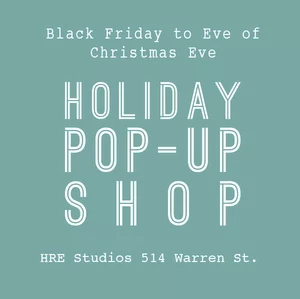 During the pop up period a number of the makers will be in the shop so stop in and meet the creators behind these special pieces before the shop closes Dec 23rd! We will have avocado dishes and pierogi ornaments available at this shop! Featuring 70+ vendors, music, and some fun experiences like portrait drawing and a photobooth, this event is sure to be a blast! 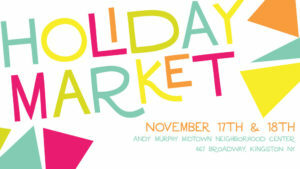 Saturday 10-5 & Sunday 11-5 at the Andy Murphy Midtown Neighborhood Center, 467 Broadway in Kingston NY. 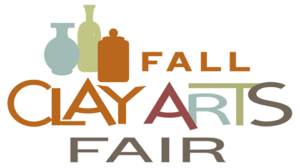 Fall Arts Festival is a juried arts show featuring over 75 artisans making handmade unique products such as pottery, fiber, jewelry, culinary items, wood, photography, plus much more. We’ll also have live music, food concessions, and not-for-profit information tables. Historic Albany Foundation’s 16th Annual art show, silent auction, and reception. I’m pleased to have two jars in this show utilizing clay and architectural elements salvaged from Historic Albany Foundation’s Parts Warehouse! Tickets for this event can be purchased at the link below. BUILT extends an artistic lens beyond vacant buildings, to capture Albany’s entire architectural landscape. This event is part of the Historic Albany Foundation’s effort to promote awareness of Albany’s changing built environment and to raise funds for HAF’s mission to promote and preserve our architectural heritage. Reception attendees will have the opportunity to view and purchase works by dozens of regional artists. 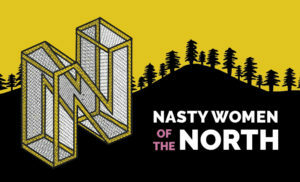 Excited to be a part of Nasty Women of the North Exhibition at Collar Works during October Troy Night Out! 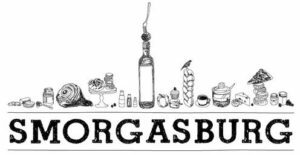 Smorgasburg at the Hutton Brickyards in Kingston, NY is a monthly market every third weekend of the month from May through October. Situated on ten acres on the Hudson River waterfront, Smorgasburg Upstate features some of the Hudson Valley and upstate region’s most exciting chefs, food purveyors, and craft brewers alongside a curated selection of handmade design, vintage clothing and antiques. 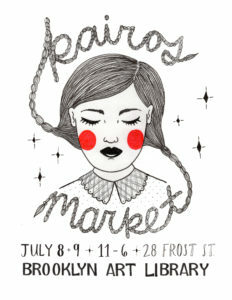 There are also a few of our favorite Brooklyn vendors as well activities for children and family-friendly musical fare. Market hours are 11am to 6pm on Saturday and Sunday. Public Parking available on site. Dogs are welcome and must be on leash at all times. Round Designs is traveling out of state. Join us at our first show in Massachusetts! Come celebrate the joys of autumn at the 83rd annual Berkshire Botanical Garden Harvest Festival! One of the longest running of its kind, the Harvest Festival offers family fun, great food, local craft vendors, a farmers market, giant tag sales and so much more. This year the festival takes place Saturday and Sunday, October 7th and 8th from 10am – 5pm both days. Admission to the Festival is $7 and kids under 12 are free. 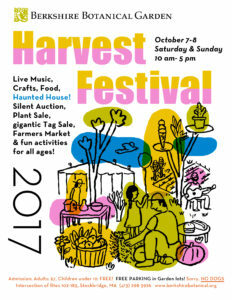 Harvest Festival is held on the grounds of the Berkshire Botanical Garden and all proceeds go to benefit the Garden’s education program. Show dates: September 9 – October 7. One weekend in August in which four distinct markets converge within an eclectic village, bringing forth the latest talent from the craft and artisanal edibles movement. Meet the Makers, listen to some local music, sample some good food. Read a piece of history and shop local! Saturday August 12th, 9-5pm and Sunday August 13th, 11-3pm. Kairos is a community based craft fair that showcases a curation of handmade items exclusively created by local independent artists. Their mission is to create a community filled with inspiration, collaboration and creativity for all. Note: This market is open Saturday & Sunday, but Round Designs will only be there on Sunday, so plan accordingly! I will be selling my wares at the kick-off art event of the summer season in Saratoga! The Arts District on Beekman, Inc is hosting a one-day street fair on Beekman Street in the Saratoga Arts District on Sunday, June 11, 2017 from 10am-5pm. In addition to artists and artisans, this family-friendly event will also feature performances under the big tent on Ash and Beekman, roaming street performers, and specialty food trucks. The fair is on Beekman Street between Circular Street and Grand Avenue. My booth is number 43 and will be close to the intersection of Beekman and Ash. I begin a residency at the Arts Center of the Capital Region in May and will be at this event to help promote the Arts Center. Come visit me at the booth for the Arts Center where I will be demonstrating some of my processes and have pieces for sale! The event is held at the Arts Center in the heart of downtown Troy on April 28 and 29. 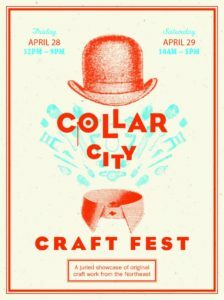 The Collar City Craft Fest is a juried, indoor showcase of original works, and features the Northeast’s top artists and craftspeople. All proceeds of this event benefit the Arts Center of the Capital Region. *Join us during Troy Night Out for live music, snacks, and libations. 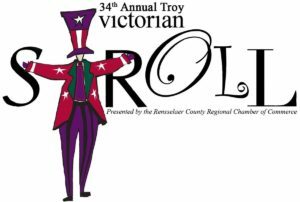 Join in the merriment as the historic streets of downtown Troy transforms into a magical stage offering more than 100 free attractions, including the region’s top performers, ­musicians, dancers, magicians and storytellers. There will be rides, refreshments, an arts & crafts show and much more! Need to finish your holiday shopping? Throughout the afternoon, Troy’s fine shops, boutiques and galleries will be open for shopping. If you’re hungry, make sure to stop into many of Troy’s best eateries or for a quick bite, or visit our food court located at Monument Square. Round Designs will be at the Arts & Crafts show in the Atrium with a wide variety of wares. Stop by for some holiday gifts, or just to say hello! This show is MCLA Gallery 51’s annual affordable art show, which celebrates the artwork of local and previously featured artists, and includes functional ware, sculpture, ceramics, watercolors, jewelry, paintings, postcards, key chains, t-shirts, collages, photography and printmaking. Just in time for the holiday season, all art will be priced between 99 cents and $99.99, and can be taken to go to be given as gifts. Round Designs will be offering necklaces and ceramic snail trail dishes at this show. This is the first sale featuring Round Designs necklaces, so be sure to stop by and pick up one for yourself or as a holiday gift! Fun for the whole family. Original Clay work by local artists. Fun, Food, Entertainment & Kids activities. The Saratoga County Animal Shelter will be here and will hold a Pet Adoption Clinic. Please join us for this spectacular event.